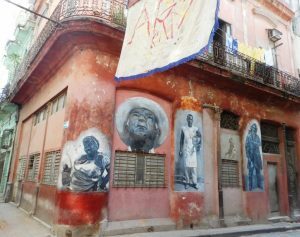 Tupoc on the wall in Cuba and other beautiful images, beautifully painted on a rather drab crumbling walls in la Habana Vieja (old town Havana). 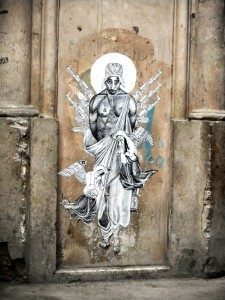 I didn’t see graffiti in Cuba (no spray paint?) 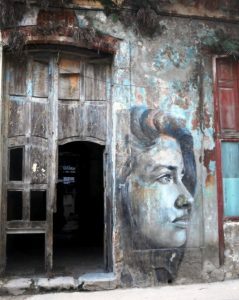 but I did marvel at many expertly painted wall murals that were adorning streetside walls and near doorways. Occasionally political, often quite beautiful, sometimes even tragic – but always profoundly contrasting with the gray stone walls; they stood out like butterflies on often depressing disintegrating buildings. 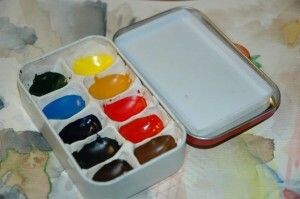 I would have dearly loved to have met the artists who crafted such delightful surprises, but I didn’t see any works in progress, unfortunately. 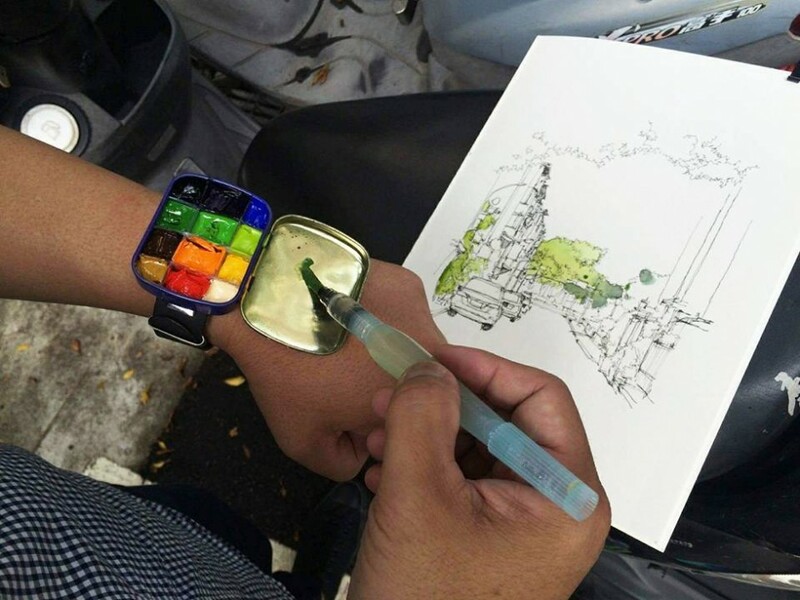 The creative arts will always find a way to express themselves! 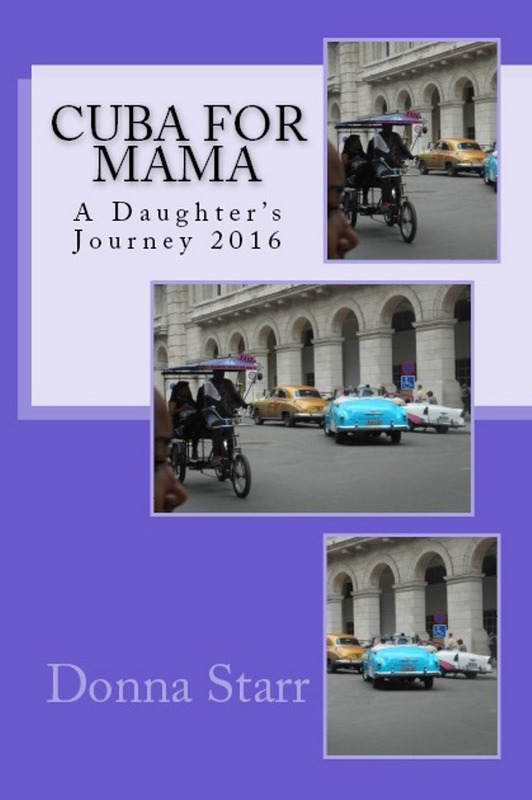 traveled along with me – as I traveled for both myself and my mother this time. 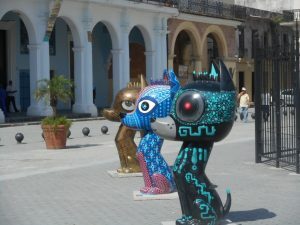 Artistically painted Chihuahuas stand at attention on the main plaza in old town Havana (la habana vieja), in vibrant colors and ringing the central area. Just sitting above the plaza in a cafe with an overhanging balcony, drinking a cold Bucanero beer and noshing on tapas offers an afternoon of great people watching and many fun photo snapshots. 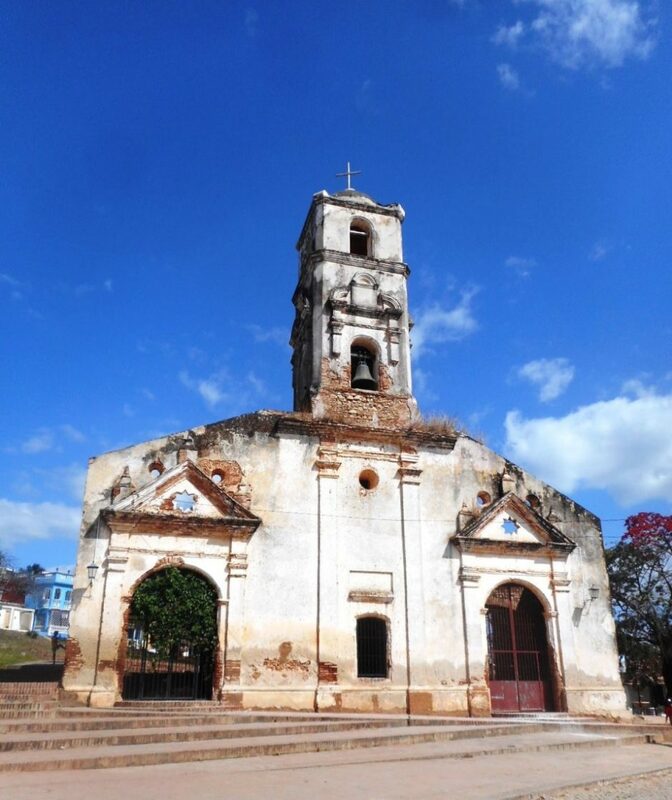 The area is slowly being restored, with several graying former mansions and buildings ringing the area – many with scaffolding and work crews slowly refreshing their exteriors. 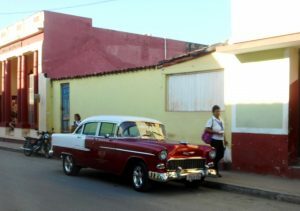 I especially loved the two toned models of cars in Cuba – so colorful and fun. 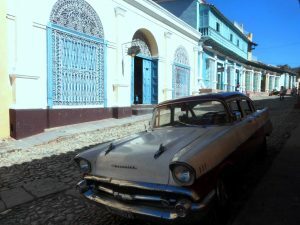 Keeping these classics running is an incredible feat, given the restrictions Cubans face. The mechanics have utilized about everything imaginable to keep them on the road. Candy colored paint jobs, gleaming chrome, plush upholstery – these beauties are truly a work of art. 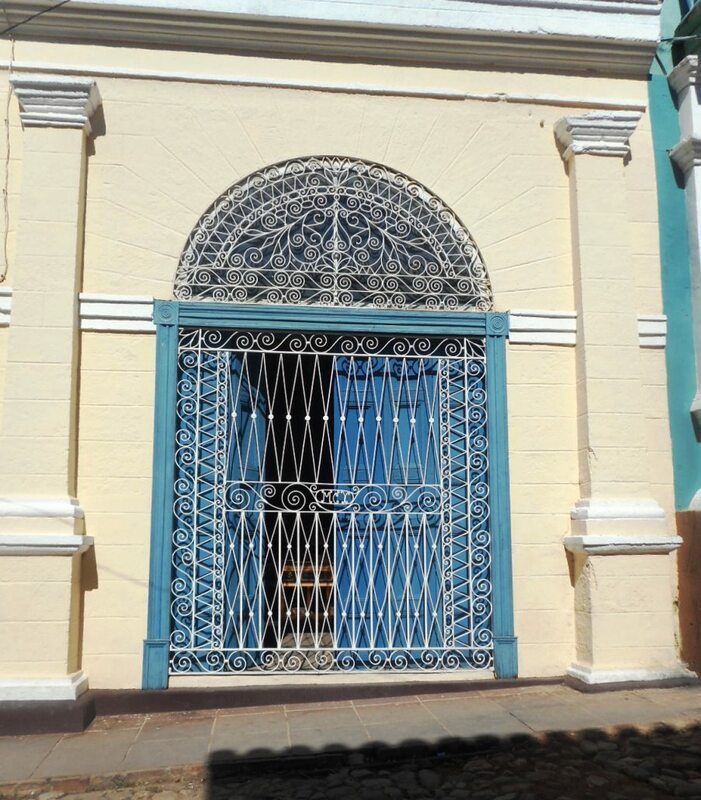 In Trinidad, bright combinations of pastel colors are the rage; it looked a bit like a street scene from Disneyland in parts. 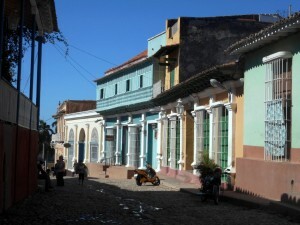 The main plaza is grand, ringed with little stores and makeshift shops tucked in the front rooms of people’s ground level homes. While walking through a little marketplace outdoors, every shopkeeper loudly beckoned me to stop and see their wonderful goods, “Great prices, lady!!! !” I´m asked for my shirt once or twice, my bandana several times – one old sweet lady even mimes that she would like me to give her some body lotion for her arms, like I’m a walking Walgreens. 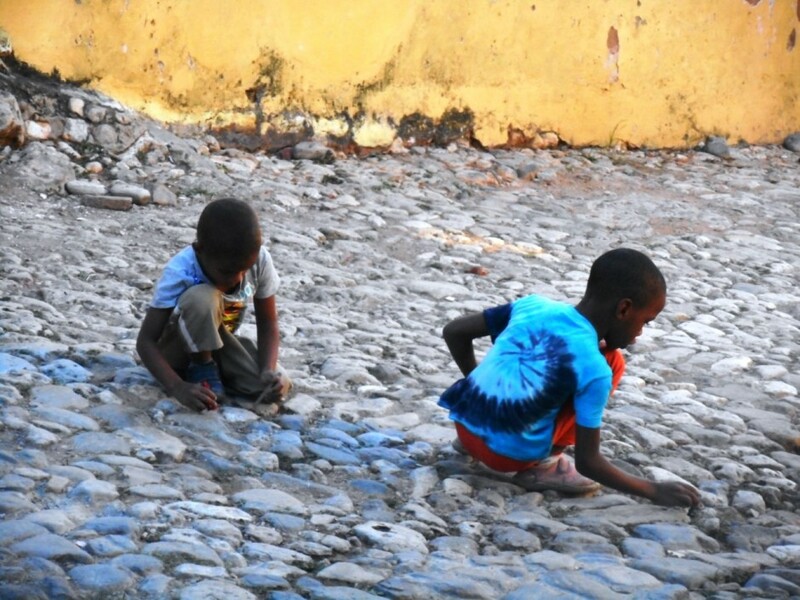 The neighborhood kids played with nearly anything in Cuba. Looking down on the stoop, I saw a children’s toy box (literally a battered cardboard box with its sad selection of broken dolls, bits of plastic and orphaned Lego blocks and I cringed thinking of the incredible abundance of toys and games that my own children had had. 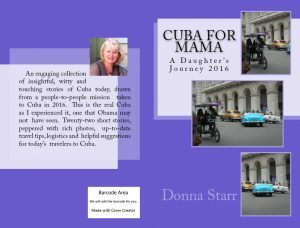 As I watched a trio of musicians strike up the familiar Cuban beat, a pair of young boys played contentedly in the street with two small plastic army men, tossing them up and down the street, chasing them and delighting in their wild acrobatics. Simple pleasures. 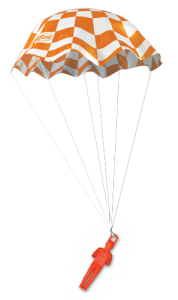 When I go back, I’m bringing a case of plastic parachute jumpers to give away. At our San Diego library, we have a 3D printer that can be used for FREE. Check your local library! 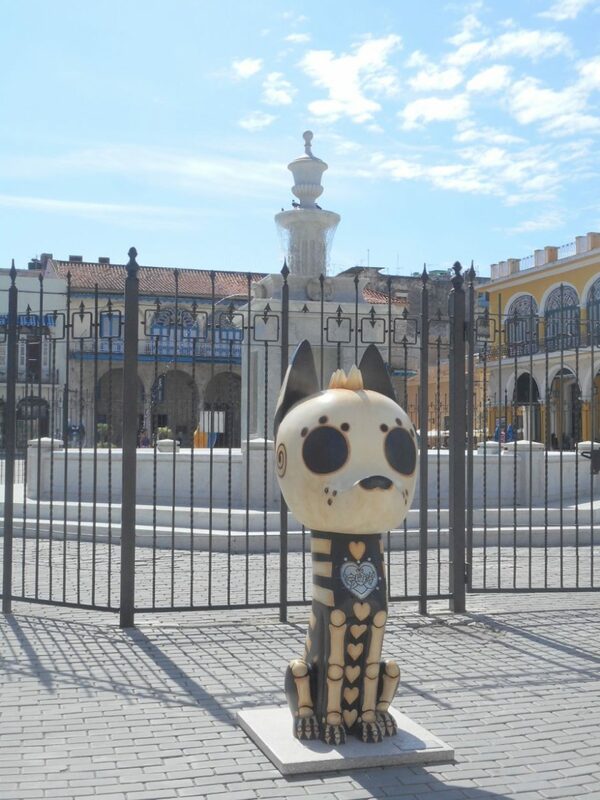 At every turn on La Habana Vieja’s streets adorning the crumbling buildings, expressions of incredibly detailed and often colorful artwork abound. Thankfully, spray paint would not be easy to get here (and I would imagine, expensive) so graffiti wasn’t a big problem as it is in many other countries and cities. 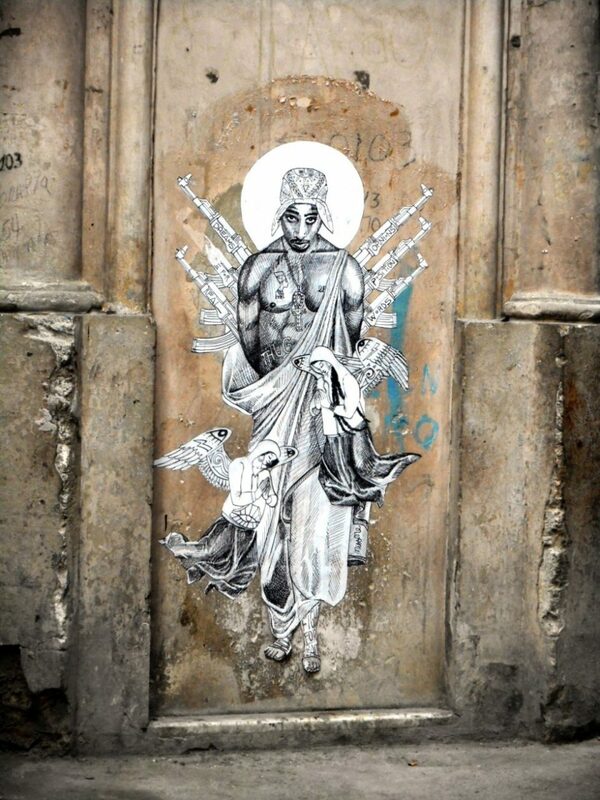 This was a wonderful painting seen on a Havana street of Tupac. Paintings and wall murals were seen down many streets; and like a bouquet of flowers they caught your eye and made the black & white broken buildings come alive. To the right is another image that I loved, staring out from this tumble down building. Such beauty! 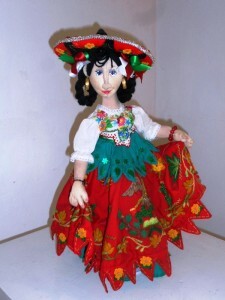 Havana’s Folk Art Museum had an exhibition of folk art dolls from Latin America on display, and this beauty from Mexico caught my eye. 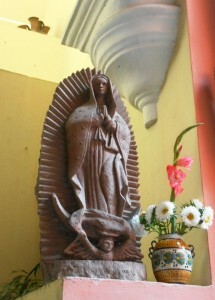 Saints like Guadalupe were also represented, and coupled with the beautiful architectural detailing of the building itself, it was quite a striking “find” of a museum. 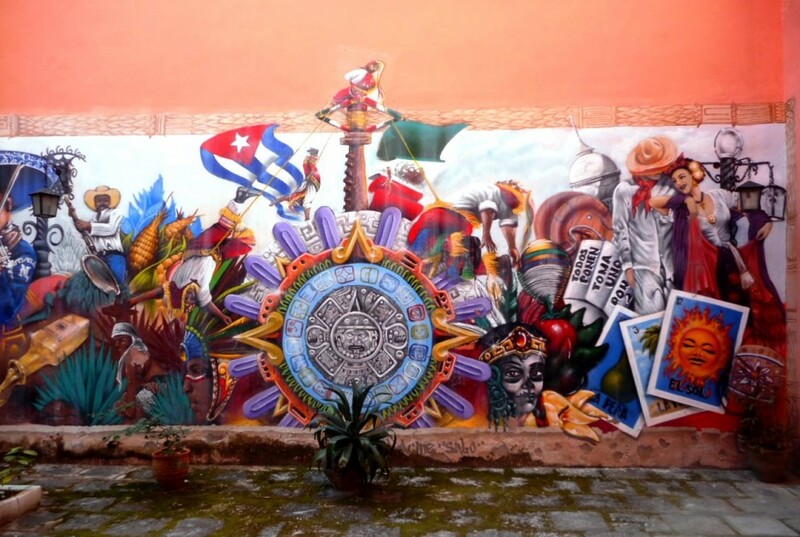 In addition, one wall boasted a collage style mural of Mexican cultural heritage on one side, Cuban on the other. It took up nearly a whole wall and I probably spent 20 minutes just looking at all the colorful imagery and messages. Often, it is the little places NOT mentioned in the guidebooks that yield the most intimate and surprising discoveries in a city, so wander off the tourist path and look for them!